A 31-year-old Hailey woman was sentenced Monday to 30 days in jail for fraudulently using someone else’s credit card last summer. Blaine County 5th District Court Judge Robert J. Elgee also placed Katherine Suzanne Grimes on probation for three years. In addition, he gave Grimes a withheld judgment, a court provision that could allow the conviction to be removed from her criminal record upon successful completion of probation. Grimes pleaded guilty in December to the felony charge of fraudulent possession of a financial transaction card. 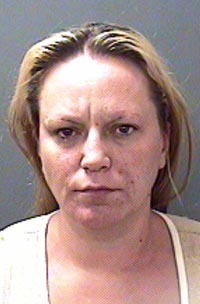 In exchange for her guilty plea, a second felony charge of forgery was dismissed. Grimes had remained free on $10,000 bond following her arrest in August. The case against her was investigated by the Bellevue Marshal’s Office. Marshal Larry Clark wrote in a probable-cause affidavit that Grimes used a credit card belonging to another woman five times in Hailey and Bellevue for purchases totaling $164.11. Clark wrote that Grimes found the credit card in a wallet that the other woman had lost at the Splash and Dash convenience store in Bellevue. At sentencing, Elgee noted that Grimes had no serious criminal history but had several minor offenses and convictions that indicated to him a general disregard for obeying the law. Deputy Prosecuting Attorney Matt Fredback recommended only probation, but Elgee said he imposed the jail sentence to give Grimes a feel for incarceration. Grimes was given until March 4 to report to the Blaine County jail.